As it was often presented with good allowance, at the Globe, and Blackefriers play-houses, by the Kings Maiesties seruants. LONDON. Printed by I. N. for Thomas Walkley and are to be sould at his shoppe at the Eagle and Child in Brittains Burse. 1630. 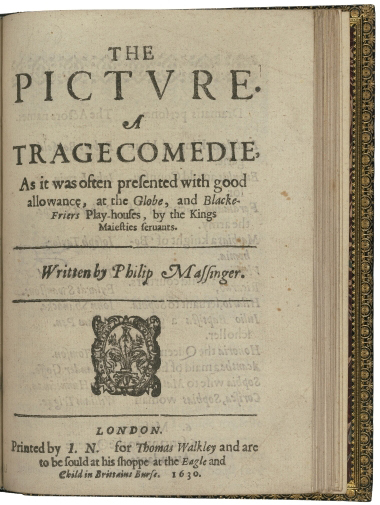 Title page imaged from Folger STC 17640.5 copy 4 bd.w. STC 17642 copy 1. Not transcribed copy.